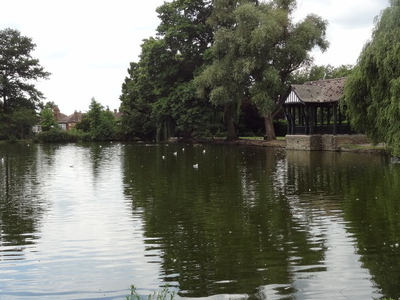 Broomfield Park is a 21 hectare public park in Palmers Green in the London Borough of Enfield. It is a Site of Local Importance for Nature Conservation and is registered by English Heritage in the Register of Historic Parks and Gardens for its special historic interest. 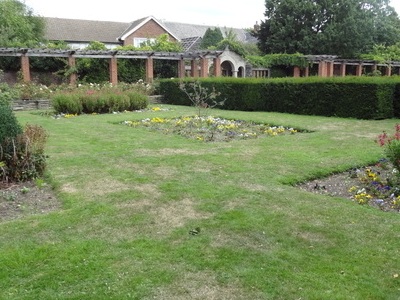 The Park has tennis courts and bowling greens, a conservatory, a bandstand (where music events are occasionally held) a children's playground and a garden of remembrance. Arthur Mee described it as "one of the most charming and varied in all the London area". The park has a variety of wildlife habitats, including the lakes, some small woods and magnificent oak trees. Aquatic plants include rigid hornwort, which is rare in London. There are also breeding birds such as Canada geese, mallard, tufted duck, coot and moorhen. The park is bounded by Alderman's Hill, Powys Lane, Broomfield Lane and Broomfield Avenue, and there is access from all sides. Here's the our members favorite photos of "Nature Reserves in London". Upload your photo of Broomfield Park!